Exceptional quality and reliable pH results are now within your reach. The pHBasic is a perfect benchtop meter for your basic everyday pH routines. Simple-to-use with classic interface design and intuitive icons, but it is faster due to optimized algorithms with harmonized measuring system of sensor with meter. The pHBasic is extremely reliable with real time indicators like ElectCheck, and Stability Control making this the classic go-to meter for any basic lab. 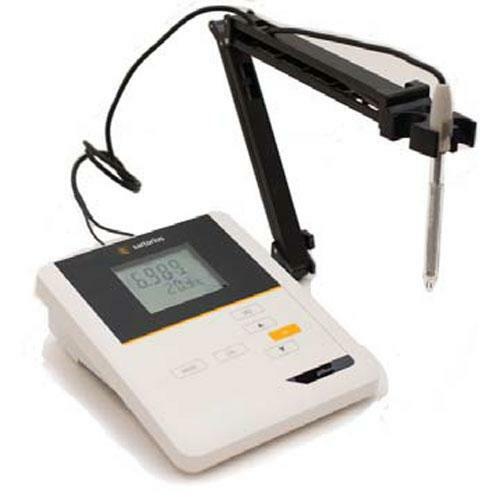 Simple is better Easy 1-2-3-point calibration routine, large LCD display, intuitive menu navigation, easy to understand indicators make for seamless pH routines. Improve your pH workflows With features such as ElectCheck and Stability Control, you do not have worry about the condition of your sensor, the integrity of your calibration or second guess when to take your reading. Know all of these at a simple glance. ElectCheck ElectCheck is a sensor evaluation and calibration reminder. The sensor evaluation shows the electrode quality in increments. The integrity criteria are slope, zero point and reaction time. When the time interval has elapsed, an optical and an acoustical signal is activated.